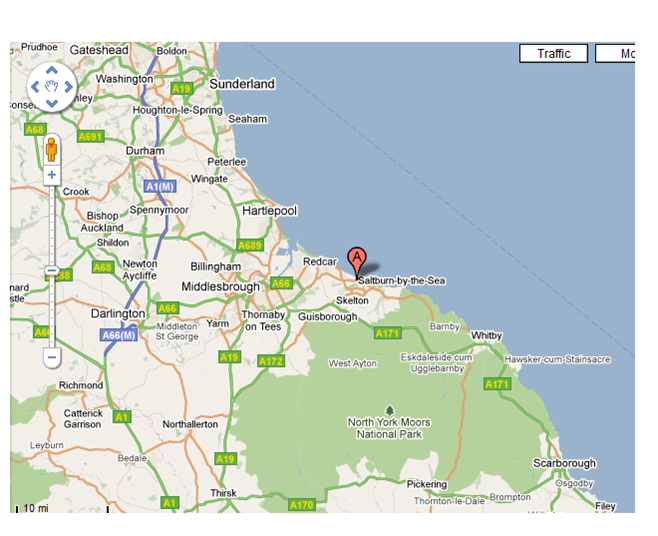 Rotary Club of Saltburn-by-the-Sea - welcome! Please scroll/swipe down through this page to find out more about us, in addition to the pages linked in the menu, top-left. Another huge success. £600 raised which will be trebled by Bill Gates Foundation. Thanks goes to Saltburn Cricket Club, Emmanuel Church, Sainsburys and club members including organisers, Rotarians Julie Wilby and Lou Foster. 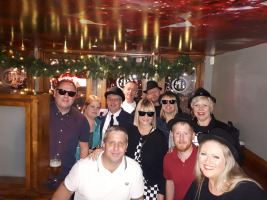 6 more outstanding Bands and one soloist performed at The Indoor Nets building at Saltburn Cricket Club, with sets covering Rhythm and Blues, Soul and Americana. The cause this year £2500 raised for RNLI. In partnership with Saltburn Cricket, Bowls & Tennis Club an 8.5 mile sponsored walk from South Gare to Saltburn Cricket Club was completed. So far £4000 raised to buy Defibrillators for Saltburn. A cheque for £4,250 was presented to Cancer Research Fund Raising Manager Jan as a result of our Charity Ball efforts by organisers Julie and Lou. 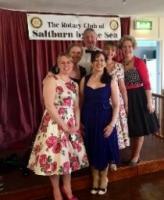 Based in the lively, vibrant seaside resort of Saltburn by the Sea, the Rotary Club is an important part of the town. Founded in 1926, the Club is an established fixture of the community and is involved in many projects throughout the town. 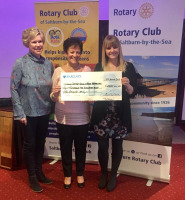 Rotary Club members not only embark on fundraising enterprises but give their time to enhance community projects and ensure as many opportunities as possible to the people of Saltburn. It is however, not all work and no play. With an active social section there are lots of opportunities to socialise and meet new people. The Saltburn coastline is recognised as part of the 36 miles of Heritage Coast, crowned by dramatic headlands. The Heritage Coast south from Saltburn climbs high above smugglers' secret caves as it continues south towards Whitby. Rich in fossils, the sheer rock faces boast some of the finest formations in Britain, whilst providing shelter for native and migrant birds. In times past, these rock’s also concealed smuggled contraband, landed here by the expert seamen whose skills made them popular targets of the ‘pressgang’. Satlburn’s flat, sandy beach is protected by the 365ft headland of Huntcliff and provides one of the best surfing aspects on the eastern coastline. Explore the website and see what we do. We're always looking for new members so if you're interested in joining us get in touch.